Tax Relief Back Copy Created with Sketch. Revaluation Back Copy Created with Sketch. Land Use Back Copy Created with Sketch. The City of Portsmouth has contracted with Vision Government Solutions and Property Valuation Advisors to do a statistical update (revaluation) of values for Fiscal Year 2018 / Tax Year 2017. Both contractors will be working with the Assessor’s Office to make this project a successful one. A revaluation will estimate the current market value of every property in the City. It equalizes the values of all properties for the purpose of a fair distribution of the tax burden. The major phases of this revaluation will be: Market Analysis, Valuation, Field Review and Informal Hearings; the Data Collection phase was completed during the 2015 Revaluation and will be utilized for the 2017 Statistical Revaluation. You can visit the Vision Government Solutions website at www.vgsi.com for information that explains the revaluation process, and read answers to frequently asked questions. The Valuation phase will be starting late spring/early summer and will be finalized in September. Contractors will be driving through the city reviewing all properties to update the Assessor’s database. An Assessors' Office sign will also be posted in the vehicle window, and their car is register with the Police as well as the Assessor’s Office at City Hall. 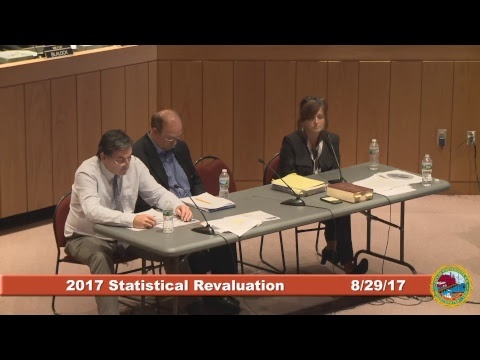 If you have any questions about the revaluation process or need additional information please contact the Assessor’s Office at (603) 610-7249.